Truffle, the king of the Kitchen. The most precious and most priciest ingredient of Italian Cuisine. It is desired by foodies and used by top-chef for their most exclusive creations. Why is it so precious? Tartufo, the 19th century French gourmet Jean-Anthelme Brillat-Savarin called it “the diamonds of the kitchen”. But what is it? Simply put, is a subterranean fungus that grows between the roots of certain trees, usually hazelnut, beech or oak and prefers argillaceous or calcareous soils which are well drained and neutral or alkaline. At this point you may wonder: why is a fungus so precious and desider? It's actually due to a variety of factors. The first, and easier, is: truffles are a wild, natural product. It is not something you can cultivate or control. 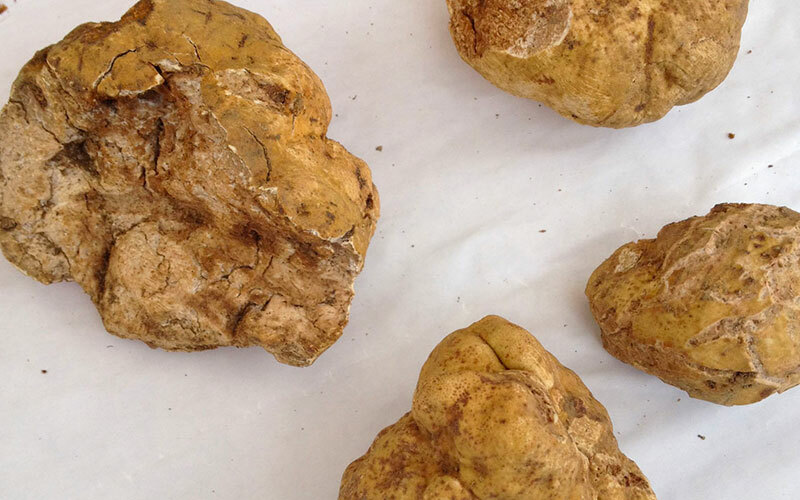 People have tried for generations to farm truffles, for the moment with no avail. Also, they grow pretty slowly. Even in a truffle-friendly environment, they can take years to grow big enough. Second: harvesting truffles is not a piece of cake. Just a small amount of truffles grow close enough to the soil to break it and become visible. Most truffles are found by trained dog that can smell it from above the soil. A single truffle hunter with a dog can find a small amount—two ounces, three ounces, quarter of a pound—so Truffle producers need a lot of people to make sure we are able to collect quantity they need (and this raise the price of the truffle). A fun fact to tell your guests: once Pigs where used in place of dogs as truffle hunters, but there was a downside... they would actually eat it themselves instead of giving it to the hunters. And they damaged the truffle beds in their zeal to get to the scent, so the use of pigs has been prohibited. Third reason: truffles have short season, of just a few months. And once harvested, you have to eat them fast: there’s a limited window for when they are fresh and good to eat. Last but not least, we can see it from an economic point of view: truffle is a scarce good with a high demand, so it's price is destined for rising (and that's the so-called Scarcity Principle in layman's word). Did you know that in nature there are about 100 types of truffles? Many, yet only 6 of these are edible. All the six varieties can be found in Italy that, with its climate and cultivation, provides ideal conditions for truffle growth, asserting itself as the world's second largest producer. The Alba White truffle is considered the most prestigious truffle of the world: it can be sold for as much as $3,600 a pound. Alba, a small town in the northwestern region of Piemonte, is known as Italy’s white truffle capital. Every year from October throughout November, it hosts the famous International Alba White Truffle Fair which attracts around 100,000 visitors from all over the world who come to buy, sell and smell the tasty tuber. However, many believe the Tuscan White truffle, found around Siena and Pisa, is just as flavorsome and much better value for money. For this reason, an increasing number of truffle lovers make a beeline for Tuscany during the Autumn months for a truffle experience in a more intimate and less commercial atmosphere, to try, buy and even hunt for truffles. Moreover in Tuscany you can find both White and Black Truffle. The main difference between them is that, although the White's aroma is intense, it tends to fade pretty quickly, as opposed to the Black, which are more subtle, but have a longer longevity. Both Black Truffles and White Truffles have a very short shelf-life: they last until two weeks, but their aroma halve in just five days. The rule is: the sooner you consume it, the stronger its aroma is. Truffles should be grated or sliced with a truffle slicer directly on to food and into sauces or soups, just before eating. They should not be cooked, as the heat will damage the flavor and aroma. In Italy it's normally served over Tajarin (a long Pasta from Piedmont) or Fried Eggs. 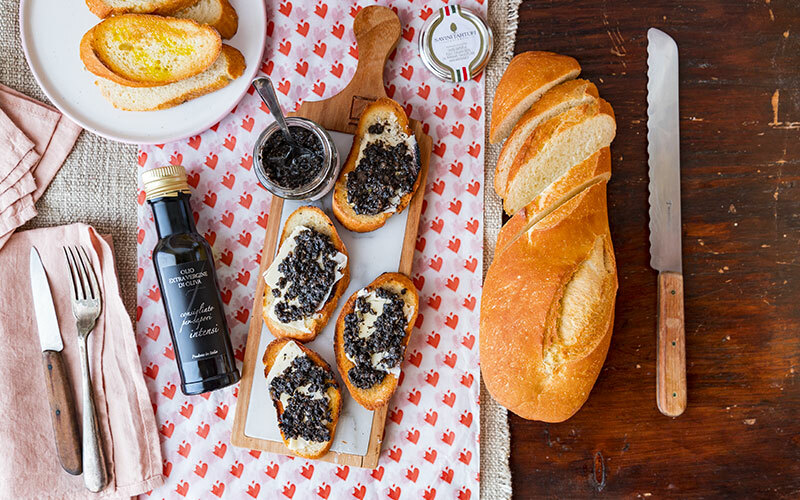 However, as we have seen, Fresh Truffle is hard to find and a bit expensive, so if you want to treat your guests and yourself with a delicious truffled-dish, you can opt for a delicious and luxurious Truffle Spread: the Truffle Gatherer's Sauce by Savini Tartufi is made with Black Truffles and Mushrooms. It contains all the exquisiteness of the truffle, it's easier to find (where? 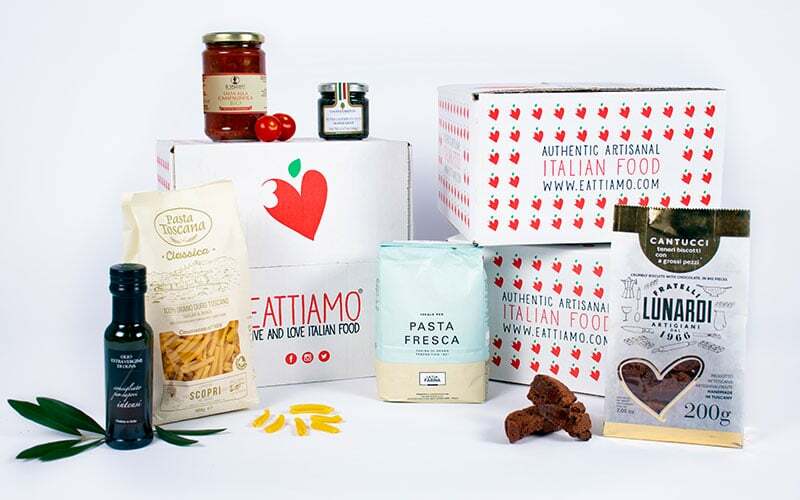 in our Taste of Tuscany Box, of course!) with a longer shelf-life and a convenient format. You can use it to add a special aroma to your Pasta, Canapé, Bruschettas or Baked Potatoes. Are you craving some Truffled Bruschettas?